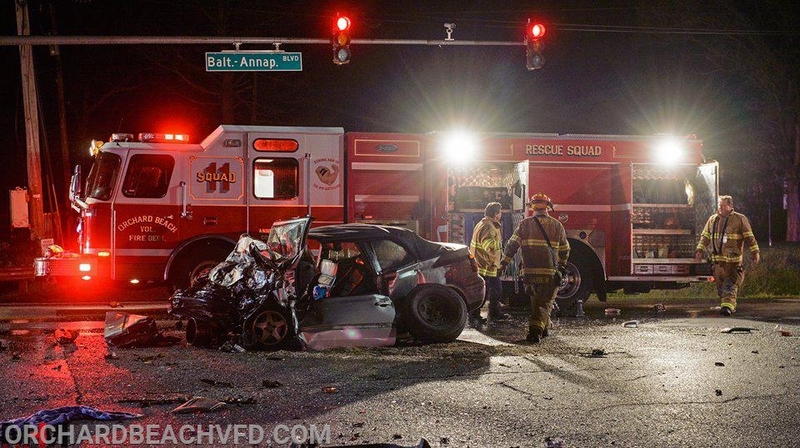 On 9/15/2018 @ 0115 hrs Units from Anne Arundel County Fire Department responded to the intersection of Baltimore Annpaolis Blvd. & Lower Magothy Beach Rd. for a Motor vehicle collision with reported entrapment. Units arrived and had one vehicle on its roof and one vehicle in the intersection with one person trapped. 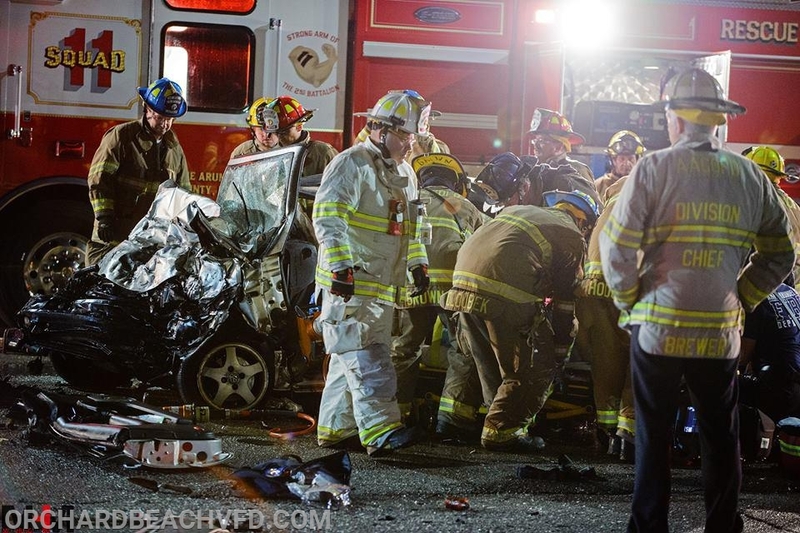 Crews immediately went to work to remove the trapped patient. 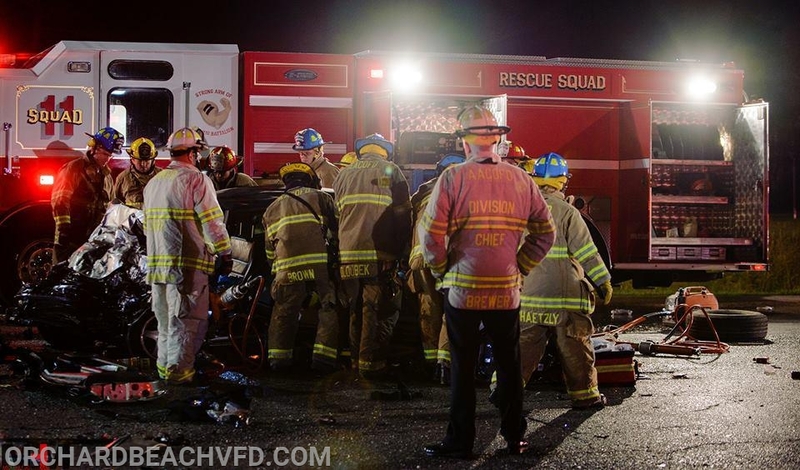 Drivers of both vehicles were transported to University of Maryland Shock Trauma in Baltimore City. Photos courtesy of Mike Hugg Media.